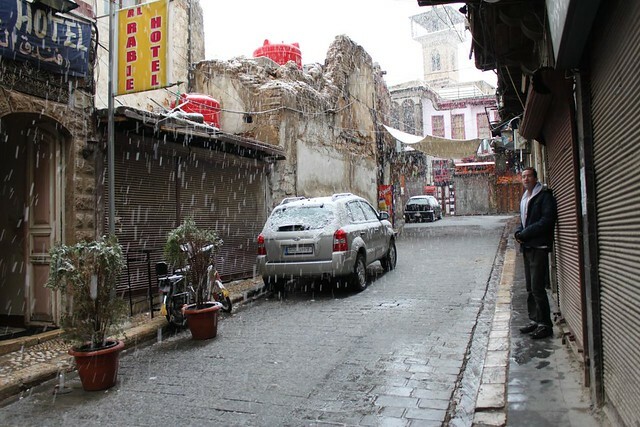 During breakfast at the hotel somebody started to talk about snow. 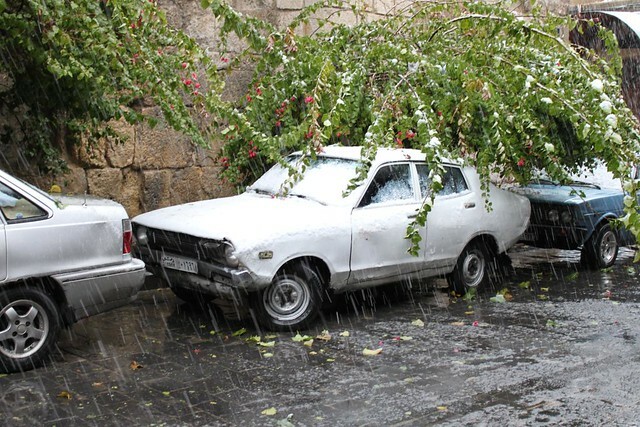 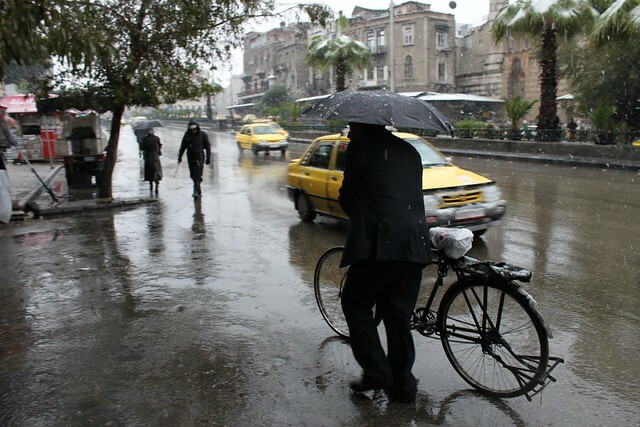 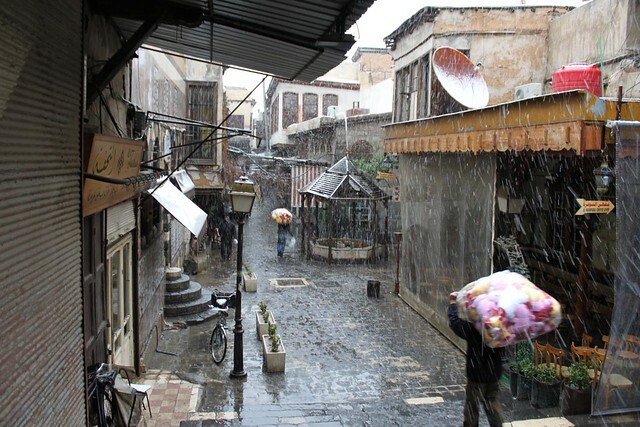 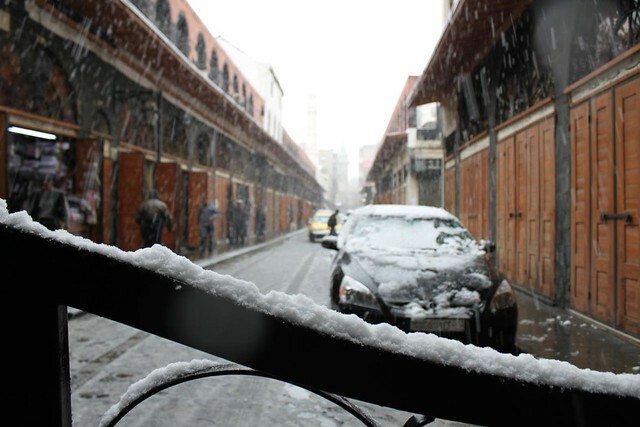 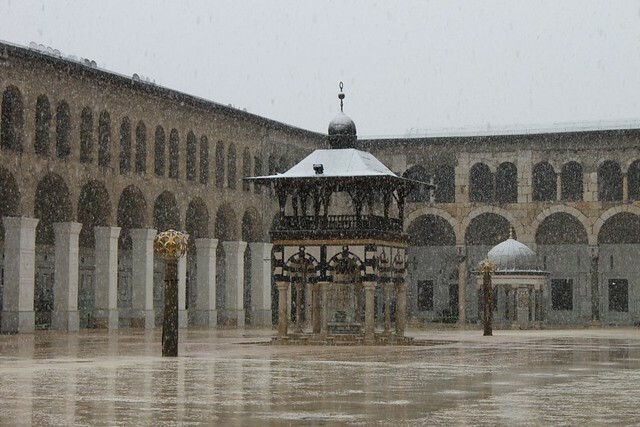 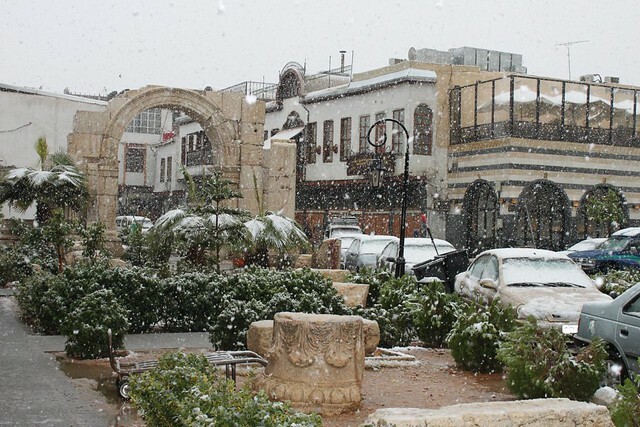 First I was not sure if it was true, but sure enough, the snow was falling beautifully over Damascus. 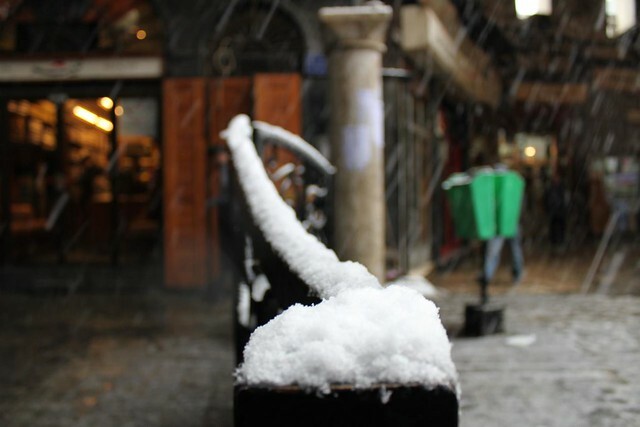 Quite a view ! 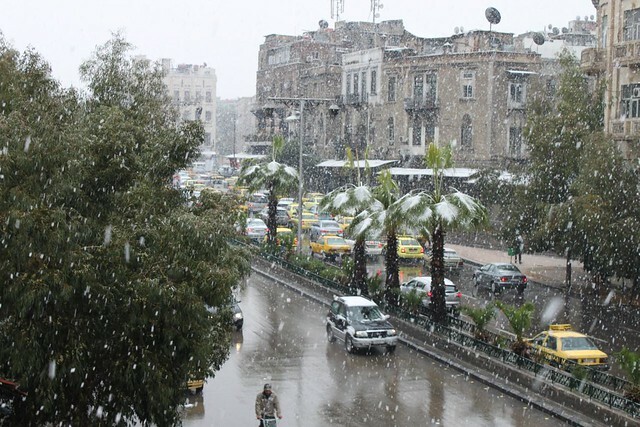 Oh my God, Damascus looks great with a little snow on the road :)) Take care !